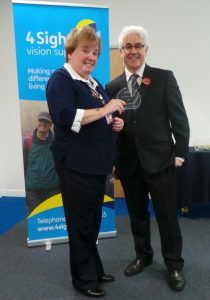 As part of our recent AGM, several of our volunteers were recognised for their outstanding work and contribution to 4Sight Vision Support, with five of them presented with a ‘Volunteer of the Year Award’. One of those volunteers was Jean Hall and she has given us an insight into her work as a volunteer and how she came to 4Sight Vision Support. ‘I volunteer for 4Sight Vision Support as it gets me out of the house and enables me to use skills I have gained over many years of working in other charities and organisations. When I moved to West Sussex I did not have a job and looked around for a voluntary job that might lead to paid employment. 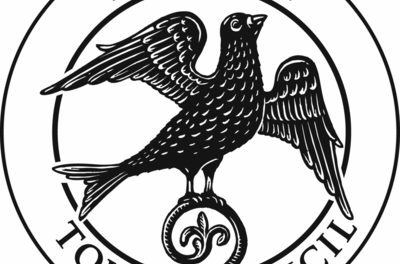 I volunteered originally for the Russell Hotel in Bognor Regis and whilst doing that role, I heard of 4Sight Vision Support and made enquiries with them. I was given a warm welcome and was soon helping in numerous ways in the office. I also helped in the resource centre, as I had knowledge of visual impairment both with myself and family, as well as working with other charities that support people with sight problems. After three years, I was offered paid employment with one of the Rehabilitation Officers for the Visually Impaired (ROVI), working with him for three and a half years until I retired. After this, I started volunteering again and was gladly welcomed back. 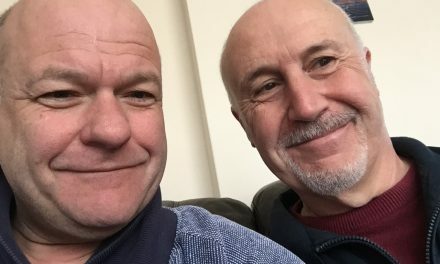 Since I retired, I come into the office twice a week and undertake administration tasks including answering the telephone, reception duties, entering information onto the computer system as well as helping with people visiting the centre. I help any department that needs something doing, whether that is stuffing envelopes or making tea. Due to my previous knowledge I am able to help in the resource centre if they are busy as well. 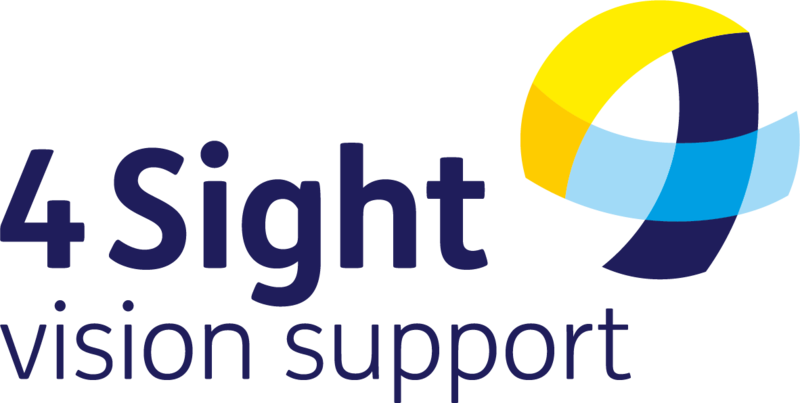 If you’re interested in volunteering with 4 Sight, see our Volunteering page for more information or call us on 01243 828555.